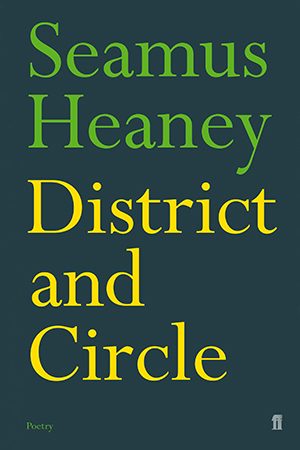 The itinerary of Seamus Heaney’s 2006 volume, District and Circle, begins ‘in an age of bare hands and cast iron’ and ends as ‘The automatic lock / Clunks shut’, in the new conditions of a menacing 21st century. Scenes from a childhood spent far from the horrors of World War II are coloured by a strongly contemporary sense that ‘Anything can happen’, and countered by images from the fraught present – a fireman’s helmet, a journey on the Underground. Still, in the face of all, the poems in this volume reaffirm their author’s trust in the mystery of everyday renewals. District and Circle was awarded the 2006 TS Eliot Prize for Poetry.